Notice: This product was discontinued on Mar 29, 2019. 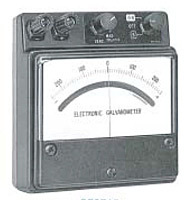 Model 2708 Galvanometer is a compact pointer type with a quick response (2 seconds). It employs a shock- and vibration-proof taut band suspension system. This unit is also suitable for classroom applications.